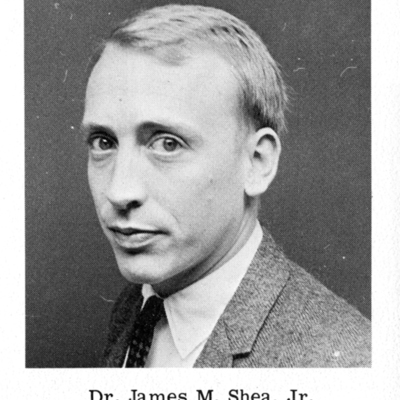 Photograph of Mason faculty member in the Department of Philosophy, Dr. James M. Shea, Jr. from the student yearbook, the Advocate for 1967. Printed reproduction; black and white. 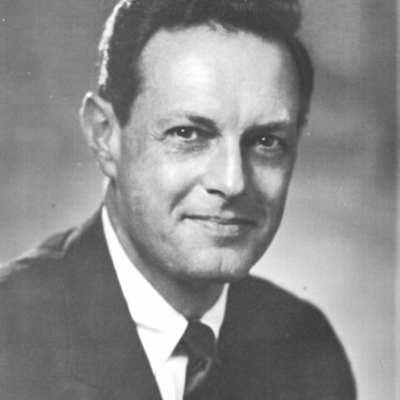 Robert H. Reid from 1965 Advocate. 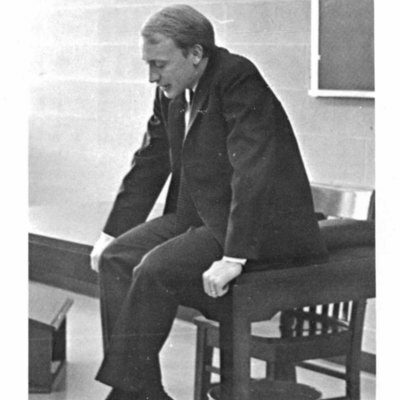 Portrait of director, Robert H. Reid from the 1965 edition of the Advocate, the yearbook for George Mason College.